​Contrary to the expectations of many in Newcastle, the end of the transfer window was a busy one at St James' Park, with the club confirming the signings of both Miguel Almiron (for a club record fee) and versatile fullback Antonio Barreca. 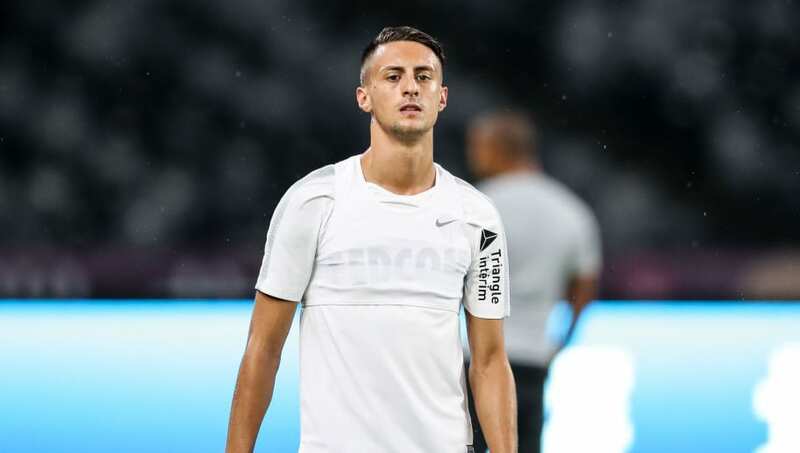 While Almiron's arrival, which finally broke the 14-year-old transfer record at Newcastle, has caught most people's attention, the Italian Barreca will be a welcome addition for Rafa Benitez in a position that has been crying out for some serious competition. The former Italy Under-21, who made his Newcastle debut in the 1-0 defeat to Tottenham, had been struggling to nail down a place at Monaco this season prior to his move to England. So who is Rafa's new man? Here are five things to know about him. Just as with any modern day fullback, Barecca enjoys getting forward and supporting the attack. Thanks to his considerable speed, he can bomb up and down the flank with ease, and provide width to the play. A confident crosser of the ball, Newcastle can expect to see plenty of delivery for target man, Salomon Rondon. The Venezuelans' style of play suits Barecca, as the 6ft 1in striker can utilise his aerial presence to great effect. His quality going forward is evident based on his two assists in nine appearances for Monaco this season. Manager Luigi Di Biagio selected him for the tournament and he featured three times for the young Azzurri ​side. He played 90 minutes in the semi final, though Italy were unable to go on to win the tournament and ultimately lost 3-1 to eventual runners up, Spain. His ability to play as a wide midfielder gives indication as to his style. Certainly a more attacking fullback option than the more conservative Paul Dummett. French journalist ​Mathieu Faure claimed that his main weakness is his lack of quality defensively, saying that he has "limited defensive qualities". Faure goes on to say that he is "undoubtedly more comfortable offensively than defensively". Due to this, there is a high chance that we can expect to see Rafa utilise him as a winger or wide midfielder on occasion. Not too long ago, Barecca had some seriously illustrious suitors. His attacking qualities suit these sides to a tee and his ability on the ball makes him an ideal candidate for sides who like to play passing, fluid football. In the end it was Monaco who snapped him up, though his opportunities have been few and far between. Not exactly a prolific goalscorer, Barecca has only hit the back of the net once in his 104 career appearances. Though this is little to concern fans as there are few goalscoring fullbacks. The 23-year-old's ability to cross, move the ball and patrol the flank outweighs his lack of scoring prowess. Something that has been missing at St James' Park for some time.